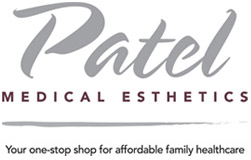 You can be sure you’re in good hands when you step inside Patel Medical Esthetics. We’ll make sure you’ll feel comfortable and at home every time you visit us. With Bhupendra Patel, MD, at the helm, you can look forward to a compassionate and personalized care, prevention and treatment for you and your family’s medical needs. Our staff is always ready to help with you scheduling, insurance or anything else you may need during your time with us. We will take extra care to listen to your concerns, answer all your questions and thoroughly explain your condition and treatment options. To schedule an appointment, please call us at (847) 455-4701 or you can use our online Request an Appointment form. Please call our office if you have any questions regarding an invoice; we will be happy to assist you. We accept MasterCard, Visa, Discover and offer 0% financing through CareCredit®.